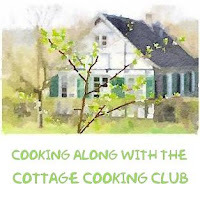 Here we are in the month of September, the Cottage Cooking Club a group of international blogger's cooking together and then posting our experiences along with the Hugh Fearnley-Whittingstall's cookbook, "River Cottage Veg". Our group is meant to be a project aimed at incorporating more vegetable dishes in our everyday cooking, and is and has been inspired by our dedicated leader Andrea of The Kitchen Lioness. Andrea usually picks one recipe from each of the 10 chapters but this time she proposed a different plan of action. We are having a make-up month; one that gives us as a group the opportunity to make-up previous dishes from the past that we did not have a chance to make or one of our favorites dishes that we made before and loved. Along with this challenge our motto of the month is to “Get out there and make the very best of the seasonal/autumnal produce that is available to YOU in YOUR neck of the woods”. The first dish I prepared was the Oven-roasted roots frittata, I’m not sure why I did not prepare this dish previously; perhaps I did not want to turn the oven on. Regardless of that fact this is a wonderful way to use up extra veggies. Hugh does suggest that the use of some kind of onion is essential to the flavor here. The intense flavors from caramelizing the veggies is what makes this dish so special. Another big bonus is that this dish is timeless meaning it can be served anytime of the day. The second and last dish I prepared was the Zucchini and raisin tea loaf. Here you beat the sugar and egg yolks together and separately the whites are beaten until they form soft peaks and are folded in the batter at the very end. There is no butter or oil in this recipe which in the beginning really appealed to me. But the instructions did not mention if the water should be squeezed out of the zucchini….. so I did….. In the end my loaf was a little dry. Next time I would skip that step. I added golden raisins and the flavor was delicious. These recipes have adapted from the River Cottage Veg, by Hugh Fearnley-Whittingstall. First recipe; from the chapter "Pantry suppers" Oven-roasted roots frittata" (page 234). Second dish from the chapter "Side dishes" Pumpkin and raisin tea loaf” (page 394). To see what recipes the other members chose for this month, head over to the LYL post for September 2015 on the CCC website, by clicking here. Both dishes look delicious and flavorful, Cheri! What veggies did you end up using in your fritata? I just love veggies in egg dishes. I bet the golden raisins were nice in combination with the zucchini in the bread. Hi Shari, I used red beets, carrots, onion, yukon potatoes and parsnips. On the loaf I love using raisins as it gives them a little texture and sweetness. Thanks Shari, love the way you new site looks! Both recipes are really nice. I love the baked fritatta the roasted roots sound delicious in it. Thanks Suzanne, the frittata I will be cooking over and over again, it was delicious! Hi Charlie, I was thinking that maybe I should not have wrung out the zucchini, that might of made a difference. The Zucchini & Raisin tea loaf looks very tempting with no butter or oil. I've yet to try adding veggie in bakes other than carrot cupcakes. Thanks for sharing ^-^! Hi Karen, you might want to try not wringing out the zucchini that might help with the dryness. These both sound wonderful - I love the idea of no butter or oil in the bread. Thanks Chris, I like the idea too, maybe I baked it too long. My oven in Oregon has a mind of it's own. Hi Cheri, nice to see you on our CCC and your choices for the month. Your roots frittata looks nice and I do believe I enjoyed that one month. Funny, how going through the make-up list caused me to see the numerous recipes now prepared from this cookbook, it sure adds up. Not sure I will then try the tea loaf though it sounds perhaps a bit dry for my taste. See you soon. Hi Peggy, it might of been my doing on the tea loaf, though I have to tell you I loved the golden raisins in it. Both dishes looks FAB! Looking forward to making the frittata and will certainly remember your pointer on the zucchini! Hi Emily, I know you would love the frittata, anything with roasted veggies has my vote. These posts are always so interesting! I love ideas on incorporating more veggies into our diet. I had overlooked it too long! : ) I feel the urge to make a frittata now; the idea of using root veggies is smart! Hi Monica, we loved the frittata, hope you do too! there is nothing like roasted veggies. Very nice! A frittata is something I've never made. You've inspired me. Thanks Lea Ann, hope you enjoy it as much as we did. Both of these recipes really appeal to me, I love having frittatas for dinner, and this one sounds wonderful! As for the bread, I'll have to try it for myself, no butter OR oil?? Hi Sue, yes I know no butter or oil....amazing isn't it. I like frittatas for dinner too, makes for a quick meal. I'd love to have that frittata parked in my fridge---I'd eat it for every meal! Thanks Liz, I know roasted veggies are the best. Both of these look great, and I especially like the frittata with all the veggies. Thanks Amy, the frittata was my favorite too. The frittata is gorgeous! Great idea to caramelize the veggies. Interesting note about the zukes, too. Bet the loaf was still incredibly tasty. Hi Kim, the loaf was tasty but a little too dry. Thanks! Thanks Nancy, yes it is a great way, Thanks for stopping by. Both dishes look delicious and beautiful, Cheri. Zucchini raisin tea loaf sounds astounding, Just UYM! Thanks Anu, I prepared one of the variations, the original recipe was made with pumpkin. Such a great looking frittata, Cheri! I never think to make them but you've got me putting it on my menu this week. The Zucchini loaf sounds so interesting! Great flavours in both dishes. Beautiful! Thanks Robyn, it's still a little warm to be roasting veggies but I could not help myself. Cheri, wonderful selections for the make-up month of The Cottage Cooking Club - I finally managed to make that wonderful frittata and got so caught up in the process that I forgot all about those pictures - yours looks delightful and so does your loaf! "See" you very soon with October choices & thank you so much for participating again this month! Thanks Andrea for all you do, can't wait to see what great veggies recipes will be for October. They look so good! I love a veggie packed fritatta. Thanks Dannii so do I. They both look great, Cheri. I need to make a fritatta (maybe with some pumpkins) for the lunch tomorrow. Pumpkin in a fritatta sounds wonderful Angie, great idea. Thanks Grace, so do I, it was another fun month in the CCC. Thanks Tricia, you are so kind. The frittata was my favorite too! Great choices, Cheri! The frittata is a favourite of mine. And the tea loaf intrigues me, but I haven't had occasion to make it yet. Thanks Teresa, I probably need a make-up for the make-up. Thanks Tandy, next time I will not wring out the zucchini and see what happens. Wonderful dishes, Cheri! Your frittata looks so delicious. I always appreciate Hugh's methods for adding extra flavour, like pre-roasting the vegetables for this dish. Your loaf looks beautiful; I made it with butternut squash and remember that it made delicious toast once it was past its prime. Hi Zosia, Ohhh, will have to try it with the butternut squash, thanks for the tip. I really like both recipes, Cheri! What a great way to use up veggies and the zucchini loaf sounds wonderful too. Thanks Susan, my zucchini loaf did not turn out the best but I will make it again using butternut squash. Both of these recipes look wonderful, cheri! And you're right, frittatas are wonderful ways to use up veggies. LOVE frittatas! 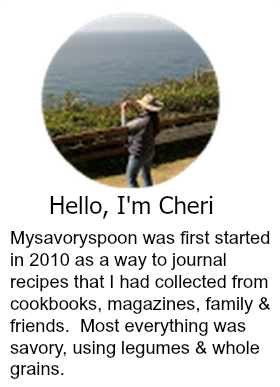 Cheri, both recipes sound amazing! I had the frittata on my list originally and didn't get to it this month. Sounds like I'll have to find some time! Also, that bread sounds really lovely. Yum and thanks for the tip about not squeezing out the water for the zucchini as that'd have been my question as well. We make the frittata quite often as a great technique to clean out the veggie bins of our fridge - yours looked wonderful! Have not made the loaf, Cheri, but am glad for you pr recommendation not to squeeze the zucchini dry. I do like a most cake! Welcome back to AZ! I love the frittata too. Always a good combination. I made the tea loaf before, but it wasn't my favorite. Right now is a little busy (traveling all week, not sure about next...), but lets plan to get together soon! It would be great to meet you!